EpiPen is one of the most effective and expensive solutions developed to save the lives of people who have severe allergic reactions (anaphylaxis). It’s manufactured and marketed by Mylan, a subsidiary of Pfizer and available on the market in a form of self-injection system. When injected, epinephrine from EpiPen opens airways in the lungs, which are blocked by widened blood vessels. 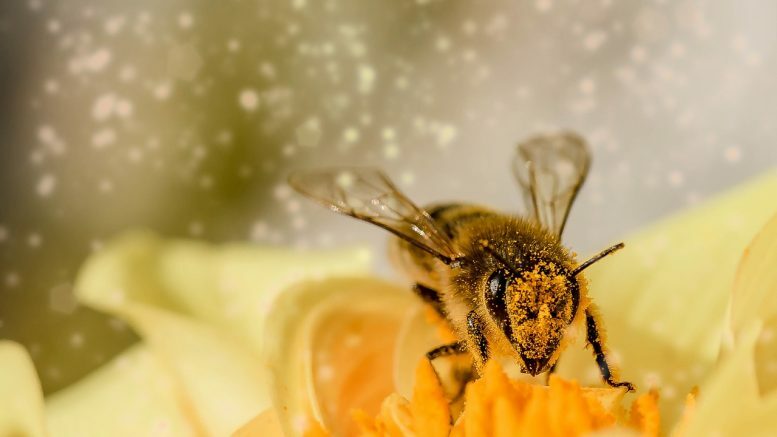 These allergic reactions can be caused by many events, products or factors: drugs, food, bites or stings from insects, or exercise-induced reactions. Because of it’s easy to use, even a person without a special education can make an injection to himself/herself or another person in a matter of several seconds. The effect of EpiPen is rapid, but people who use it should keep in mind, that it will not last for a long time. Right after the injection, they are advised to immediately call an emergency. EpiPen popularity and its status as the only convenient solution allowed to increase the price up to $400 for the two-pen pack. There are some other anti-anaphylaxis solutions available on the market, but they are not as popular as EpiPen. Their names are Auvi-Q and Adrenaclick and they work differently from their main competitor. All EpiPens are produced on Meridian Medical Technologies – Pfizer unit located near St. Louis. This plant had serious issues in manufacturing, which lead to a major EpiPens recall in March 2017. Mylan had to recall tens of thousands of EpiPens because some of them had failed to activate. In circumstances, when EpiPens are used, these fails may lead to the death. The FDA knew about the issue and send a warning letter to a manufacturer in September. Since May 2, more than 400 patients have reported about difficulties in filling their EpiPen prescriptions, said a chief executive officer of patient-advocacy group Food Allergy Research & Education James Baker. After the report about difficulties, the Food and Drug Administration put EpiPen into the shortages list. Another factor that caused the shortage is a school season. Many parents are trying to buy EpiPen for their children, so they could take it with them to the school and use by themselves in case of a severe allergic reaction. On August 8, Mylan commented on the situation in their statement regarding EpiPen shortages. They encouraged their customers to call their customer support at 800-796-9526 for additional information about pharmacies with auto-injectors available. Also, they extended their working hours to Saturday/Sunday 11 a.m. to 4 p.m. ET. High cost, demand, shortage and its importance for people with allergies made an appearance of a generic version on the US market just a matter of time. On August 16, the FDA approved the first generic version of EpiPen developed by Teva Pharmaceuticals. This product, unlike Auvi-Q and Adrenaclick, can be used as a substitute for Mylan’s EpiPen. FDA Commissioner Dr. Scott Gottlieb said in a statement that the approval of generic version of EpiPen is the part of their longstanding commitment to advance access to lower cost safe and effective alternatives once patents no longer prevent approval. In their statement, Teva Pharmaceutical said that it’s applying full resources to generic EpiPen launch in the coming months, but didn’t specify a launch date. Gottlieb also said that the approval means patients with severe allergies should have a lower-cost option, as well as another product to help protect against potential shortages. The price for Teva’s solutions is still unknown, but Gottlieb’s statement and brand/generic price policy allows to conclude that the price for generic EpiPen should be significantly lower than the price of a brand version from Mylan. Is Adderall Helping To Study? Be the first to comment on "Mylan’s EpiPen Shortage And Generic EpiPen Version From Teva"